The Final Battle of the Boroughs took place yesterday, and the NHL has started its shortened season. The season’s final game between the Knicks and their new crosstown rivals ended the series with perfect symmetry. Brooklyn took the first game at home then lost the following two. The Martin Luther King, Jr. Day showdown at Madison Square Garden began with the Knicks trailing by 6 at the half, but a 27-18 third quarter turned the game in New York’s favor. Down by 3 entering the fourth, the Nets fought hard to regain their lead. Joe Johnson sunk a go-ahead jumper while Deron Williams knocked back 3 of 4 foul shots in the waning seconds to put Brooklyn up 88-85. The game would end there, as JR Smith missed a 3-point shot that would have tied the score up at the buzzer. Shots from beyond the arc had been a sticking point for the Knicks all night; while they made only 6 of 21, the Nets went 12 of 24. In tying the series at 2 games apiece, Brooklyn also pulled within one game of New York for the Atlantic Division lead. Joe Johnson led the Nets in scoring with 25, but double-doubles were had by Brook Lopez (14 points, 11 rebounds), Kris Humphries (11 points, 13 rebounds) and Deron Williams (14 points, 12 assists). Carmelo Anthony knocked down 29 points, backed by Smith’s 16 and Stoudemire’s 15. Iman Shumpert also returned for only his second game since ACL surgery, though he only made 1 of 6 attempts for 2 points in 20 minutes of play. Brooklyn (25-16) plays Minnesota tomorrow night at 8:00, while the Knicks (25-14) return to Boston at 8 PM on Thursday. For much of the would-be season it seemed as though there would be no NHL this year, but the lockout has come to an end and hockey has come anew over the weekend. Unfortunately for the Rangers, the shortened season began in TD Gardens where they ran up against a Boston defense they could barely penetrate. The new tandem of Rick Nash and Brad Richards managed to score one goal in the second period with an assist from Nash to Richards, but that would prove all they could muster as the pair tried to establish chemistry without the benefit of a pre-season. Despite 31 saves from Henrik Lundqvist, the Bruins managed to score once in each period, ending New York’s home opener with a 3-1 loss. The Rangers came home to host the Penguins on Sunday and, though their offense showed a bit more life, the loss that ensued was even harder to swallow. New York scored once in the first period on a Richards and Stepan assist to Callahan, then twice in the third on shots from Pyatt and Nash. The three goals were certainly better than what the team had mustered on Saturday, but they were only enough to match Pittsburgh’s performance in the first period. Another goal in the second and two more in the third put the Penguins over 6-3. The poor defensive showing resulted in Henrik Lundqvist being pulled from the game halfway through. The Rangers will play Boston again tomorrow night at 7:30. The Islanders put on a more respectable show in their season and home opener against the Devils than did the Rangers. The New York team, which still plays in Nassau County, held New Jersey scoreless through the first period, though they themselves could not manage a goal until the third. A Hamonic goal assisted by Grabner tied the game at 1 apiece; unfortunately the tie would not last long. Little over a minute later, another puck slid past Nabokov to put the Devils back up on top for a final score of 2-1. The team stayed home yesterday, where they gave Long Island hockey fans something to cheer about for the first time this season as they hosted Tampa Bay. Neither team scored during the first period, but the Islanders went on a tear in the second with goals from Grabner, Martin, and Okposo. A fourth goal off the stick of Ullstrom early in the third proved vital for New York as the Lightning began to mount a comeback shortly thereafter. Three unanswered goals brought Tampa within 1 midway through the final period, but the Islanders held on to win 4-3. The Islanders hope to establish a winning record against Toronto at 7 o’clock on Thursday night. 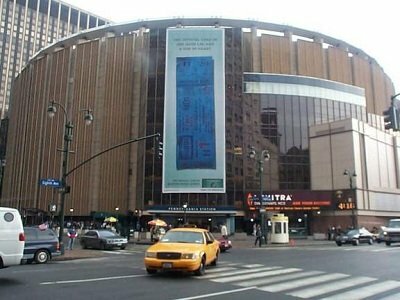 Subject: LongIsland.com - Your Name sent you Article details of "Nets Play Knicks on MLK Day; Islanders & Rangers Begin Season"